Hawaii Lacrosse will be hosting its 26th annual international tournament from October 28th thru the 30th. The event is a favorite of teams from all over the world who love playing The Great Game in paradise! Registration includes - Two Pinnies (One to trade), Shooter shirt, Shorts, Socks, CB Hat and Cinnch sack! 6:30 PM – Welcome Party – Ask Tournament Staff for Details! Hotel info - Lots of great inexpensive places to stay right by the fields. Or if you want to class it up a bit you can stay at the Park shore. 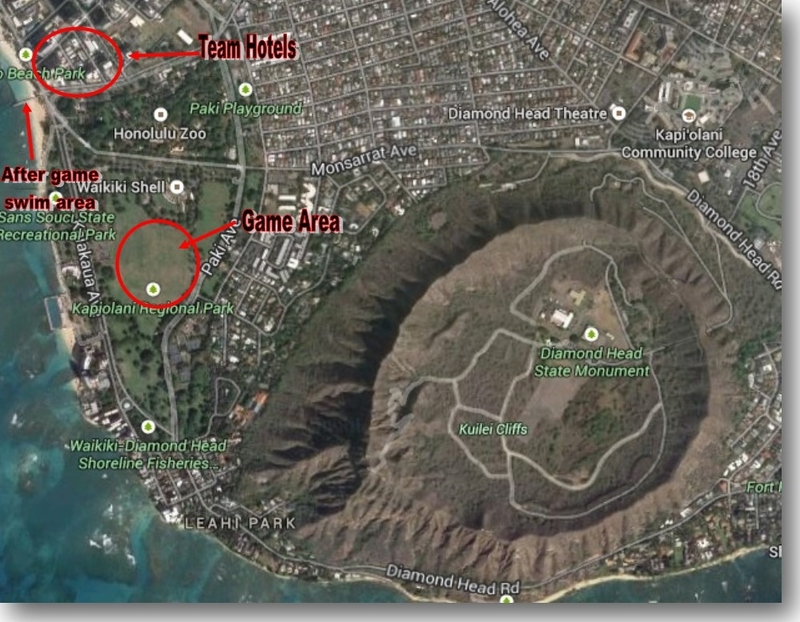 All these hotels are in the "Team Hotel" area. WALKING DISTANCE TO THE FIELDS.